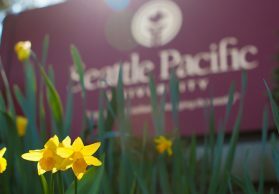 Read more about the memorable lives of SPU alumni. NORMA HOWELL CATHEY ’50 died May 1, 2017, at the age of 89. She was an active Falcon — an editor of The Falcon student newspaper, president of the Associated Women Students, and a member of Falconettes. A career educator, she taught mostly in Seattle public schools. 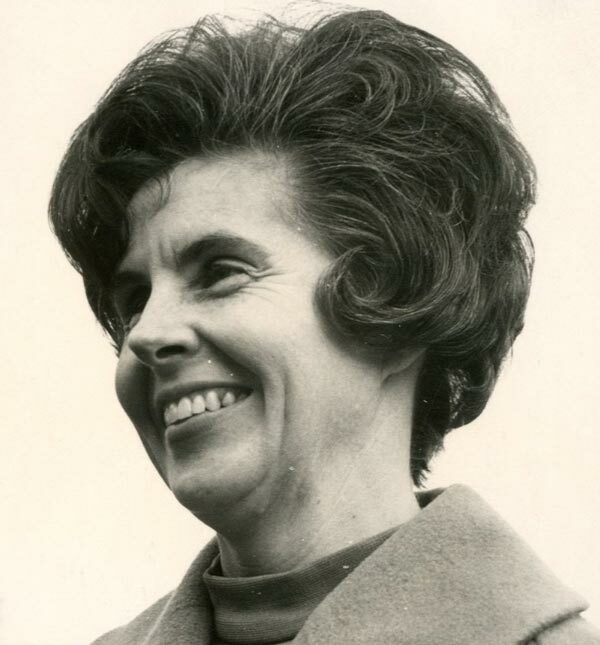 She was a historian and archivist for several organizations and was a mainstay in the office of the Pacific Northwest Conference of the Free Methodist Church. Norma was sometimes called upon to help with details for Response stories. In 2000, she and her husband, ROBERT CATHEY, were honored with the SPU Medallion Award for service to the University community and their chosen vocations. Norma is survived by her husband of 67 years; three children; and three grandchildren. HENRY CHURCH ’71 died September 7, 2017, at the age of 75. Born in Los Angeles into a pastor’s family, Church had wide interests. He earned an associate’s degree in music from Modesto Junior college, a bachelor’s degree in speech from Seattle Pacific, a master’s degree in marriage and family counseling from the University of San Francisco, and a doctorate in theology from the University of Malawi. Ordained in the Free Methodist Church, he served churches in Washington (including a deaf congregation in Seattle to whom he preached in sign language), California, and Indiana. Henry and his wife, BONNIE BLEWS CHURCH ’66, were missionaries in Africa for 30 years and in the Middle East for four years before retiring to Warsaw, Indiana. Henry, who was fluent in several languages, established Bible schools in Malawi and Zimbabwe based on an instructional model he developed. The model is still used around the world. He was Africa area director for Free Methodist World Missions and, more recently, executive director of Impact Middle East. He is survived by his wife of 55 years; two sons; two grandchildren; and a brother. ADAM MARIN COMMANDER ’89 died March 21, 2017, at the age of 52. Born in Weimar, California, he graduated from Mountain View High School in Bend, Oregon, before coming to SPU. He doubled majored in communication and business management, was active in student government, and edited The Falcon student newspaper. Adam was hired as an information technology architect and developer for truck-manufacturer Paccar for their subsidiary, Kenworth. Kenworth recognized him with an award for outstanding performance and dedication. In 1998, Adam became a senior database architect and developer for Austin Sierra Consulting Inc., where he received the Gold Star commendation for outstanding contribution. He was known as a mentor, and even invited his employees home for lunch and Star Trek movies. He was an innovator who streamlined his supervision of work groups in China and India. In 2014, he and his wife, Lisa, moved to The Dalles, Oregon, where he joined the IT department at Mid-Columbia Medical Center as a senior developer. A faithful churchgoer, Adam taught Bible studies and assisted with Sunday worship. He is survived by his wife of 23 years; a brother; and a sister. SHIRLEY STOKES DEMMERT ’65 died September 1, 2017, at the age of 73. Born in Bremerton, Washington, she taught elementary school and adult education in Alaska. She once owned a bookstore, and was a member of Bayside Community Church and a volunteer at ShareNet Thrift Store, both in Kingston, Washington. She is survived by her husband of 53 years, LEROY DEMMERT ’64; three children; seven grandchildren; a brother; and a sister. FLORENCE MATHENY DESHAZER ’48 died July 5, 2017, at the age of 95. Born near Toddville, Iowa, she played basketball for Toddville High School on a team that competed in the state tournament. She graduated from Lenox Junior College and taught for five years in Monroe Township. Besides sports, she loved reading to her students, the taste of Iowa sweetcorn, and picking and eating fresh mushrooms. Florence felt a strong call to the mission field and left home for Seattle Pacific College to prepare. There she met JACOB “JAKE” DESHAZER ’48 (deceased), one of the famed Doolittle Raiders of World War II. Jake had survived 40 months in a Japanese prison camp. During his detention, he became a Christian and felt a calling to spread the gospel in Japan. They married and spent the next 30 years in Japan as Free Methodist missionaries, sharing the gospel message and helping start 23 churches. In later years, Florence lived at Crista Assisted Living in Shoreline, Washington, where she enjoyed a good game of Scrabble with anyone who could make it challenging. Florence is survived by five children, including PAUL DESHAZER ’69, CAROL AIKO DESHAZER DIXON ’79, and RUTH DESHAZER KUTRAKUN ’80; 10 grandchildren; 12 great-grandchildren; a brother; and a sister. The youngest of 10 children, World War II U.S. Army medic and Battle of the Bulge veteran Les Habegger died July 6, 2017, at the age of 92. As a young man and graduate student in physical education and counseling at the University of Minnesota, Les wanted to help young men on the basketball court realize their athletic potential and develop in Christian character. He had played high school basketball and while in graduate school he coached the sport at Northwestern College, now the University of Northwestern–St. Paul. He well knew the difference a good coach could make in his players’ lives. 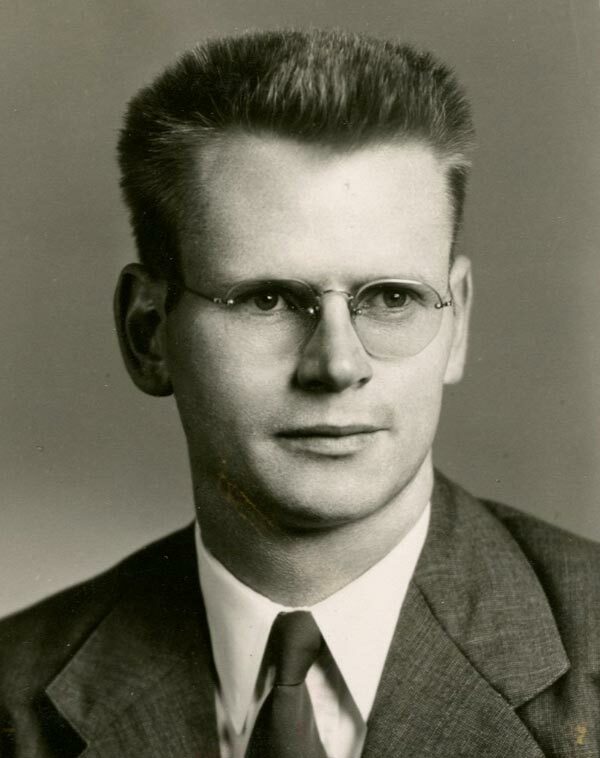 In the mid-1950s, he wrote letters offering his services to a number of Christian schools and received a reply from Seattle Pacific offering him a position. The Falcons claimed his loyalty and devotion for the next 20 years. He served as an assistant coach under Ken Foreman for a year, then in 1957 became Falcons head coach. Despite a first-year record of just 6–20, Les and his teams compiled a record of 267–170 through 1974 — the highest win total in school history. He posted three 20-win seasons; under his leadership, the Falcons competed in six NCAA tournaments. His 1965 squad reached the Elite Eight. Life after SPU was good, too. A member of the Falcons Hall of Fame (2004) and his home state’s Indiana Basketball Hall of Fame (2014), Les was assistant coach to NBA Hall of Famer Lenny Wilkens when he coached the Seattle SuperSonics. He sometimes called offensive plays that he had run while at Seattle Pacific. And Les was on board when the SuperSonics took the NBA championship in 1979. From 1983 to 1985, he was Sonics general manager. He later coached in Germany, winning three pro-league championships, and retired in Gilbert, Arizona. He was laid to rest in Medical Lake, Washington, near family. Les is survived by a son; a daughter; three grandchildren; and a brother. MILDRED HARLESS ’43 died February 6, 2017, at the age of 95. Born in Seattle, she was raised with four siblings on farms, where she acquired a love for nature and gardening. She was high school valedictorian in Onalaska, Washington. After pursuing teacher education for three years at Seattle Pacific, she moved to Aberdeen, Washington, to teach. She married Ned Harless in 1944. The demands of raising four children took her out of the classroom and delayed the receiving of her degree until 1962. A faithful church member at Harbor Free Methodist Church in Hoquiam, Washington, Mildred taught Sunday school, adult Bible study classes, served as Sunday school superintendent, played piano, and organized many Christmas programs. An avid camper, she enjoyed visiting national parks. When Ned retired, they purchased a motor home to spend winters in the Southwest and travel with other retired tradesmen to help Christian organizations with their construction projects. They finally settled at Warm Beach Retirement Community, where Ned, her husband of 68 years, died in 2012. Mildred is survived by four children; 12 grandchildren; and 17 great-grandchildren. For 25 years, Ruth Denison Hansen ’50 supervised teaching interns in Seattle Pacific University’s School of Education. 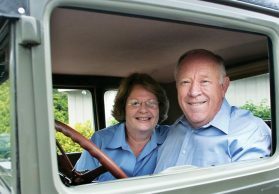 She and her husband Bernard “Bud” Hansen (deceased 2007) were a dynamic couple devoted to Seattle Pacific in numerous ways. Ruth, professor emerita of education, died September 13, 2017, at the age of 89. She met Bud at SPU and for many of their 57 years together they contributed to the flourishing growth of their alma mater. Bud served 33 years on the Board of Trustees. Together, they devoted their time, energy, and creativity to originating and planning the long-running Alumni Casey Campus Weekend. Though she retired from the education faculty in 1991, Ruth and Bud maintained their love and support for SPU as members of the President’s Circle. After her husband’s death, she continued their habit of financial support to endowed scholarship funds for students. Ruth is survived by four children: Lynne Hansen Hall ’76, who works in SPU’s Office of University Advancement, Jill Hansen Barrett ’78, Dirk Hansen ’80, and Sue Hansen McPeak ’82. Ruth is also survived by nine grandchildren, including Chris Hall ’04, Ashley Barrett Semler ’06, and Allison Hall ’10. JAMES “JIM” HEARNE ’55 died July 21, 2017, at the age of 84. Born in Columbus, Indiana, he received a degree in English literature and Greek from Seattle Pacific, leaving with both a diploma and a partner — fellow graduate COLLEEN WALSH ’55, whom he married later that year. Jim went on to receive a bachelor’s of divinity degree from Evangelical Theological Seminary and a master’s of divinity degree from Garrett Evangelical Theological Seminary. In 1962, he and Colleen immigrated to Canada, where he became a deacon in the Anglican Church and curate of St. Andrew’s Anglican Church in Trail, British Columbia. The following year he was ordained a priest, and by 1993, he had served both Anglicans and the United Church of Canada in a half-dozen British Columbia towns. He came out of a brief retirement to become rector of Creston and canon of the Diocese of Kootenay. Even in “real” retirement, he continued to serve in various aspects of ministry, and was interim pastor for St. Andrew’s Presbyterian Church in Slocan and Passmore at the time of his death. 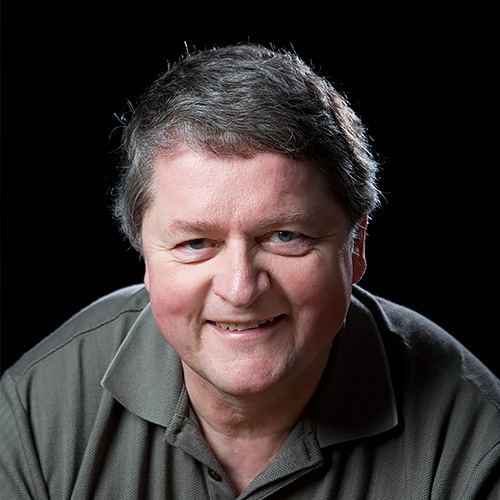 The Walsh family loved to travel: they visited England, Ireland, and Israel, and for a time Jim was a lecturer in the Department of Religious Studies at Notre Dame University, Nelson, British Columbia. He loved to laugh and tell stories, and sang in many choirs through the years. Jim is survived by his wife; two children; two stepchildren; four grandchildren; and seven great-grandchildren. 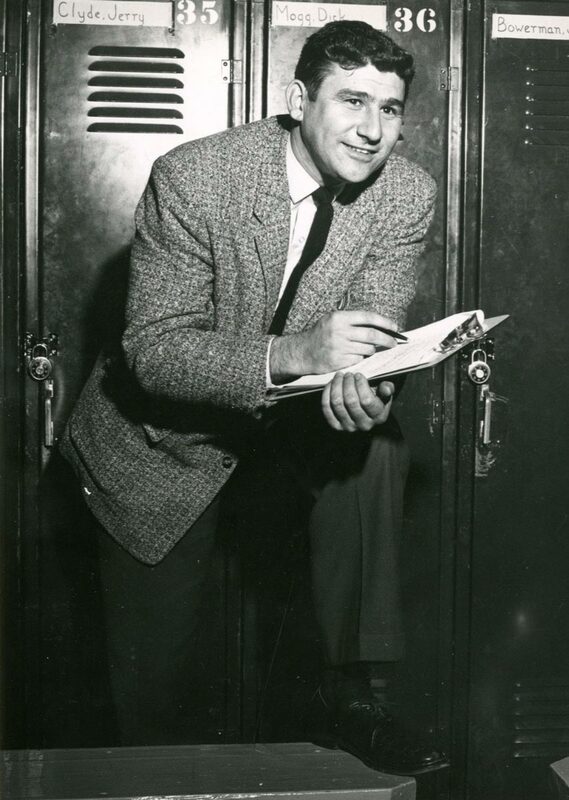 California’s Lawrence Livermore National Laboratory is dubbed “the smartest square mile on earth.” Seattle Pacific College Physics Professor Melvin Harrison (1951–57) enjoyed a long career at the lab after first shaping a proper appreciation for physics among his Seattle Pacific students. After three decades of retirement in bucolic Friday Harbor, Washington, Melvin died on January 9, 2017, at the age of 93. A 1947 graduate of Greenville College (now Greenville University) in Illinois, Melvin earned a doctorate in physics from the University of Washington in 1953 while teaching at SPU. At the Livermore Laboratory later that decade, he and hundreds of other scientists, engineers, and teachers were employed in ensuring the defense of the nation. The “new ideas” laboratory was born out of the Cold War. Scientists at the lab studied how to contain nuclear weapons, peaceful uses for nuclear explosives, and how to apply bioscience to environmental initiatives. In retirement, Melvin’s joys included his family’s waterfront property, their Presbyterian church, the local yacht club, tutoring math, and daily walks. He is survived by Florence, his wife of 72 years; a son; a daughter; and two grandchildren. VIRGINIA THAYER HARTER ’60 died June 4, 2017, at the age of 82. Born in Ellington, New York, she earned a degree in psychology from Seattle Pacific and her RN from what was then E.G. Meyer Memorial Hospital in Buffalo, New York. A dedicated nurse, she worked for two other hospitals and was a member of the Free Methodist Church in Hornell. Her duties included working as church treasurer. Virginia is survived by two daughters; a granddaughter; a brother; and a sister. GEORGE KNUDSEN ’70 died June 10, 2017, at the age of 68. Born in Bergen, Norway, he moved to Seattle, then settled in New Jersey. He was employed for a time with Exxon International, and in marketing for digital print systems companies, including Xerox and Konica. After graduating Seattle Pacific, George earned master’s degrees from Washington State University and the University of Oregon. He was a merchant marine during the Vietnam War, and his love of travel took him to 33 different countries. A passionate gardener and family man, he is survived by his wife, Linda; two children; and a brother. DONALD “DON” KOCHANEK ’58 died May 1, 2017, at the age of 84. Born in Port Angeles, Washington, he was a lifelong Christian who brought his faith to bear in military service. He earned an undergraduate degree in business administration from Seattle Pacific and, one year after graduating, he married Greta Griffin, his wife of nearly 60 years. Don earned a master of divinity degree from Los Angeles Theological Seminary and was a career serviceman, joining the United State Air Force in 1950 and serving in the Korean War. Then he joined the U.S. Army as a chaplain and served in the Vietnam War. He left active duty in 1975 but continued in the U.S. Army Reserves, settling in Marion, Indiana, to serve as assistant pastor at Twin City Bible Baptist Church and the Veterans Affairs Medical Center. He and Greta later resettled in North Carolina. Don had a soothing presence that brought comfort and peace to broken-spirited service men and women in need of counseling. Don was the type of loving father whose children could talk him into letting them sleep outside in a snowstorm or eat ice cream for breakfast. He led his family in Bible study and lessons of generosity. Don’s wife preceded him in death by just one month. He is survived by their five children; 19 grandchildren; and two great-grandchildren. LORI LARSON ’81 died July 16, 2017, at the age of 57. Born in Grants Pass, Oregon, she was the youngest of six children and was taught Christian faith and service by diligent parents. Raised in Juneau, Alaska, she obtained her teacher certification from Seattle Pacific and taught in Oregon’s Myrtle Point, Stayton, and North Clackamas School Districts until her retirement in 2013. Lori enjoyed gardening, hiking, blueberry picking, music, and reading, and believed in the importance of working for justice and the betterment of society. She is survived by her husband, John Sytsma; two sons; three brothers; and two sisters. FRID TJORSTAD NUTLEY ’72 died March 30, 2017, at the age of 81. She was born in Tacoma, Washington, to Norwegian immigrant parents. At a Christian camp as a young girl, she confessed her faith in Christ and completed confirmation class at her Lutheran church. Frid married Hugh Nutley, who became a professor of physics and electrical engineering at SPU. 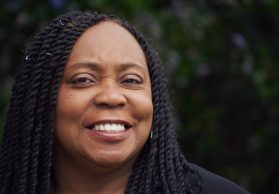 After earning her undergraduate degree in English from Seattle Pacific and a master’s degree in English from the University of Washington, Frid taught classes part time at SPU and at Puget Sound College of the Bible. She edited Response magazine from 1977 to 1979 and is the author of Once a Refugee. With a heart for people of other cultures, Frid and Hugh sponsored a family fleeing Vietnam and a family escaping Polish government persecution. They were active in SPU’s ministry to international students and offered free English lessons (with Bible study, if asked). Hugh died in 2003. The Nutleys are survived by their six children, LYNNE NUTLEY HUNTER ’78, DANIEL NUTLEY ’81, ERIK NUTLEY ’81, SONJA NUTLEY WEST ’83, PAUL NUTLEY ’89 and BYRON NUTLEY ’87, and numerous grandchildren. ROBERT “BOB” WALLER ’46 died February 14, 2017, at the age of 94. Born in Missoula, Montana, he moved to the Puyallup Valley in Western Washington, where his father took a vice principal position at Bob’s elementary school. He began his college career at the University of South Dakota, then paused his education to spend three years in the U.S. Navy as a hospital corpsman. 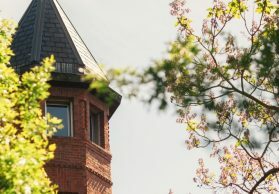 He completed college at Seattle Pacific, then studied for two master’s degrees — one from New York Theological Seminary and one in education from New York University. His service as a United Methodist minister took him to pulpits in New York and Washington, including a parish in Seattle’s Queen Anne neighborhood. While pastor at Washington’s Kennewick First United Methodist Church, he was named Kennewick Man of the Year. Full of life and caring of others, Bob spent much of his retirement volunteering for a number of organizations, including Kiwanis, Habitat for Humanity, and the Seabold United Methodist Church on Bainbridge Island. Bob is survived by his wife, Janet; three children; six grandchildren; and two sisters. DAVID WORTMAN ’63 died February 12, 2017, at the age of 77. The scrappy kid from West Bremerton High School led the Seattle Pacific men’s basketball team in scoring for three straight seasons (1958–59 through 1961–62). He played 92 games, scoring 1,328 points. His average of 14.4 points per game remains among the top 10 scoring efforts in SPU history. In 1962, United Press International named him an honorable mention All-American. The SPU Hall of Famer was co-captain his senior year. The other co-captain, David’s younger brother Gary, was the Falcon high scorer the year following his brother’s graduation. David went on to play professional basketball in Europe and teach at Kennedy High School in Burien, Washington, before joining Adidas as a territorial sales representative. Close friends affectionately called him “Worts,” but he was as smooth and stylish as they come.